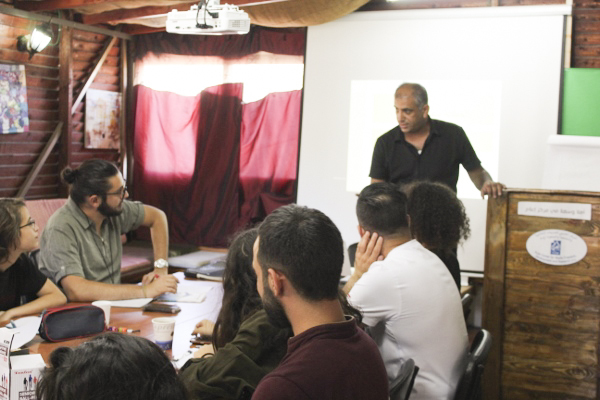 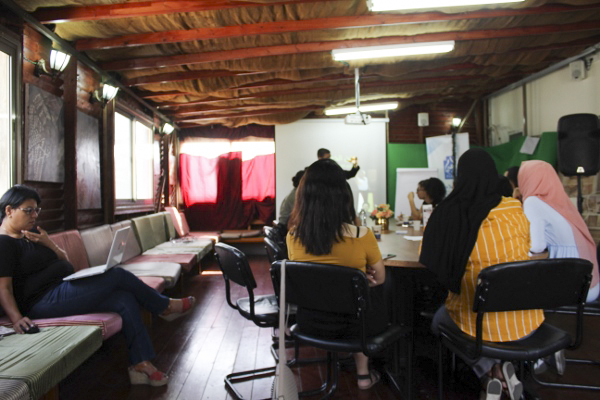 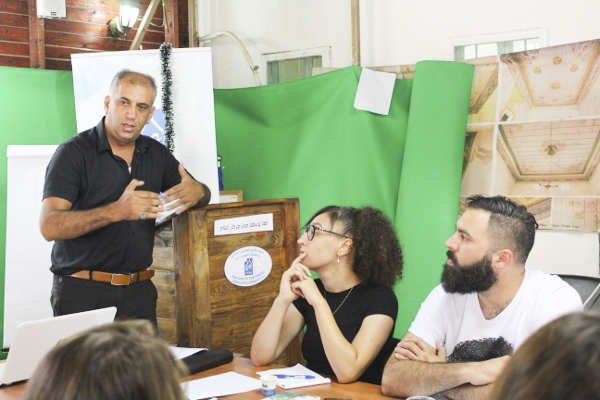 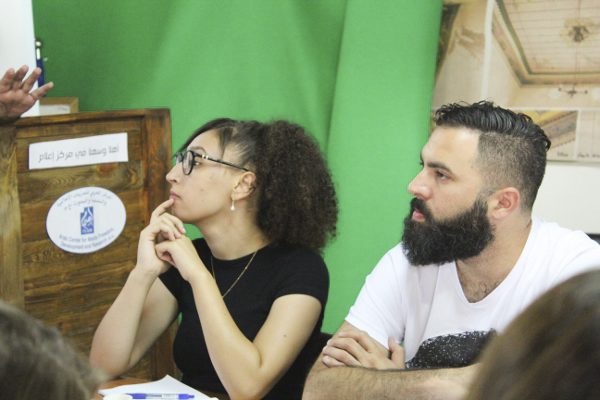 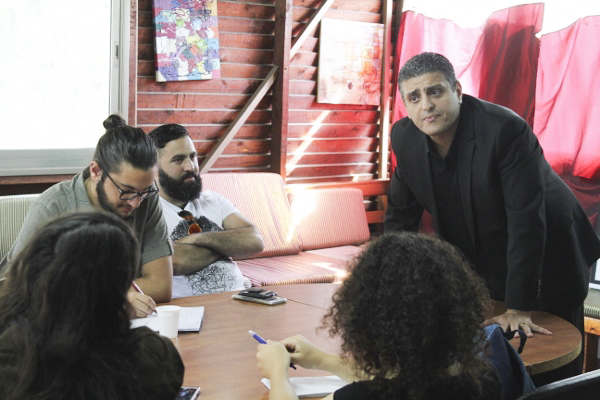 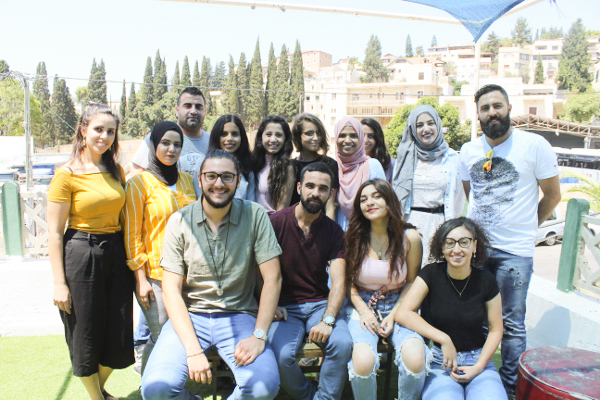 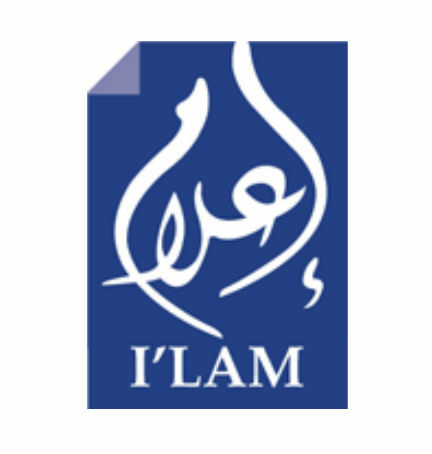 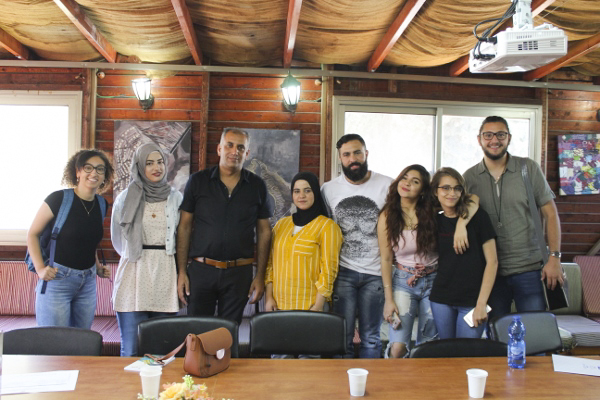 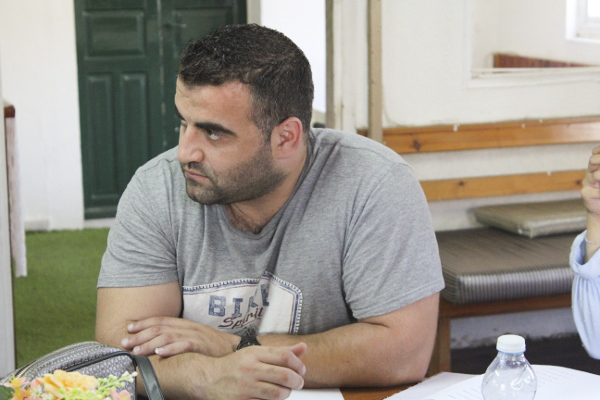 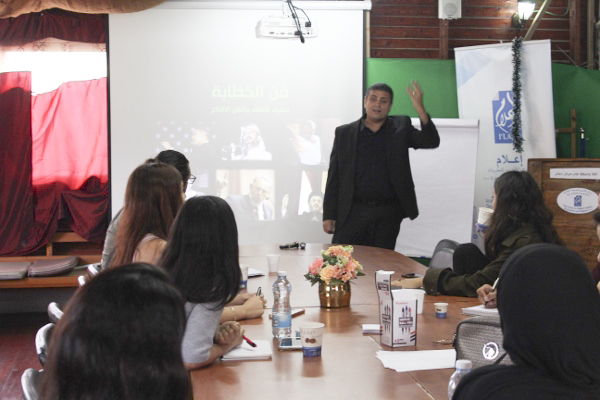 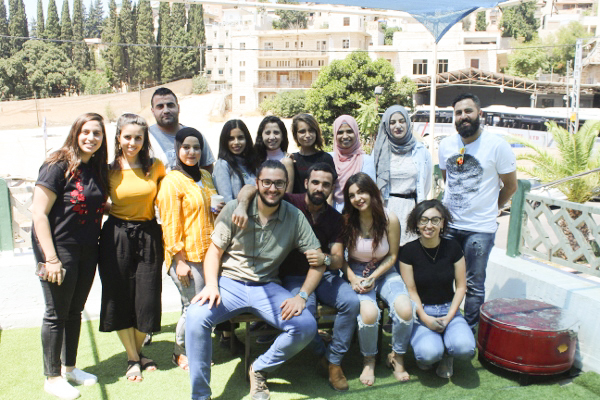 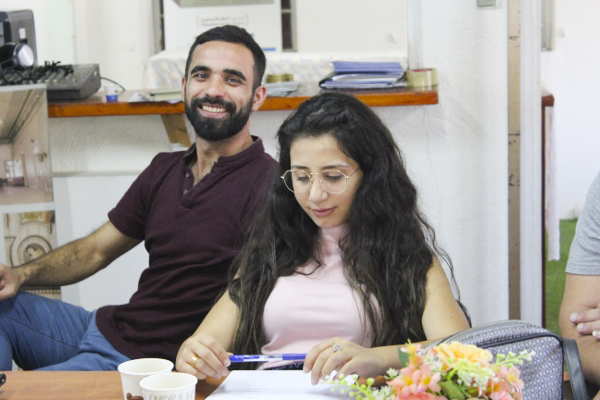 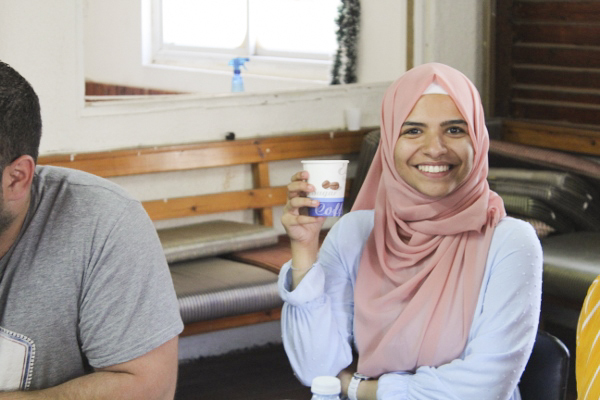 Last Friday, I’lam carried out a training workshop in the field of public speaking for the participants of the Young Leadership Project in the city of Nazareth. 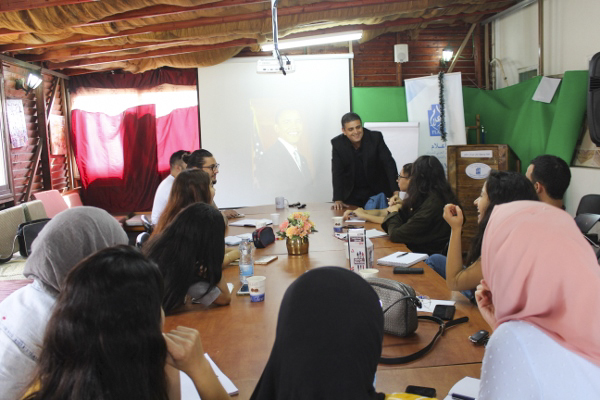 The first session of the workshop was led by Ashraf Kortam and focused on the basics of body language, stage fright and delivering the speech. 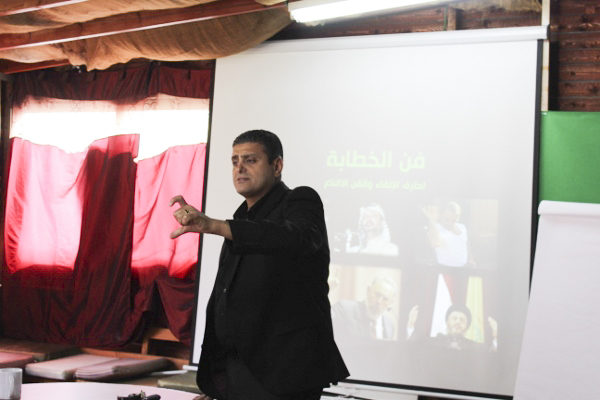 Moreover, during the session several other topics such as the mechanisms and techniques of persuasion, as well as rhetorical strategies and social skills, were addressed. 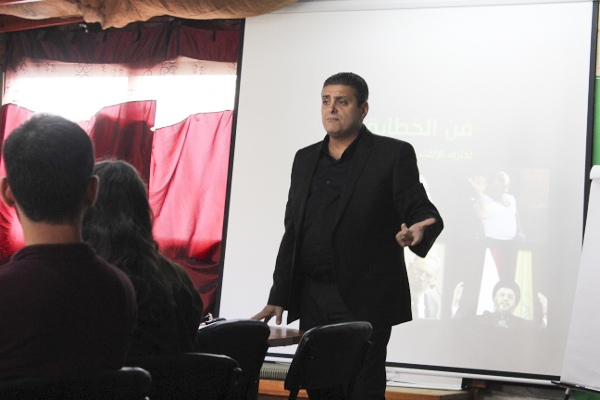 The second session of the training was directed by Dr. Saleh Abboud, who focused on the use of language in discourse, the articulation of a discourse and its content. 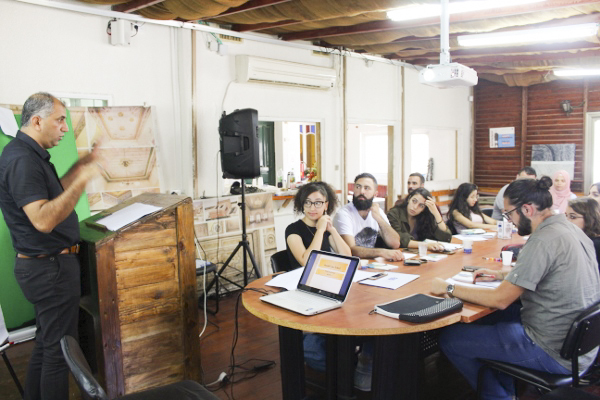 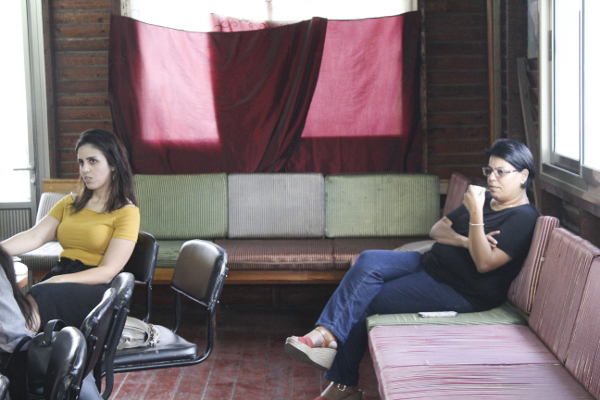 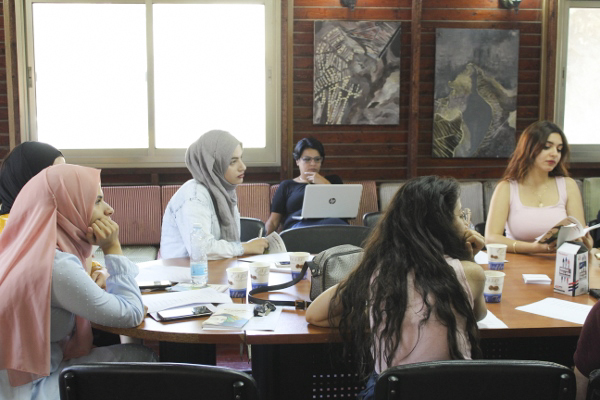 More concretely, this part of the workshop dealt with the linguistic structure of speech, the cultural and historical traits of rhetoric in Arab countries, the structure and elements of speech and discursive strategies. 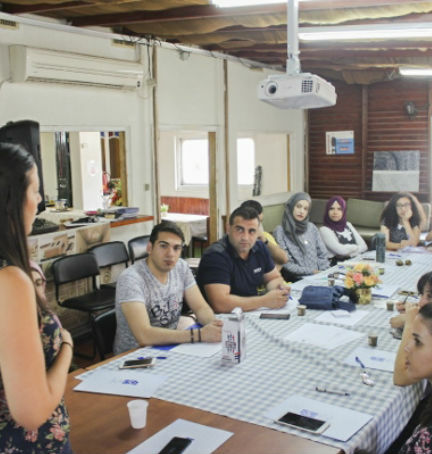 The Young Leadership Program aims towards the building of four essential skills, namely leadership, rhetoric, debate and simulation. 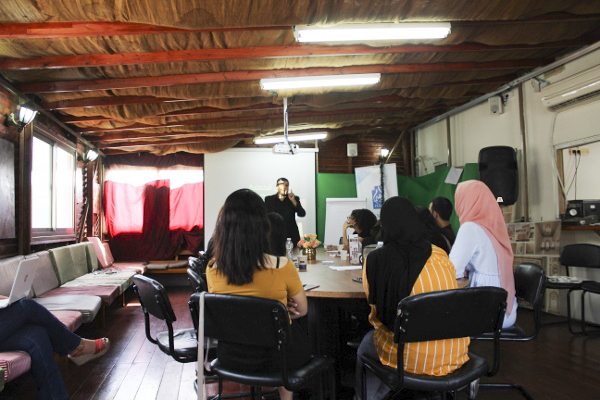 The project seeks to contribute to the development and improvement of a generation of leaders, who possess sufficient qualifications and show proficiency in the arts of rhetoric, debate and simulation. 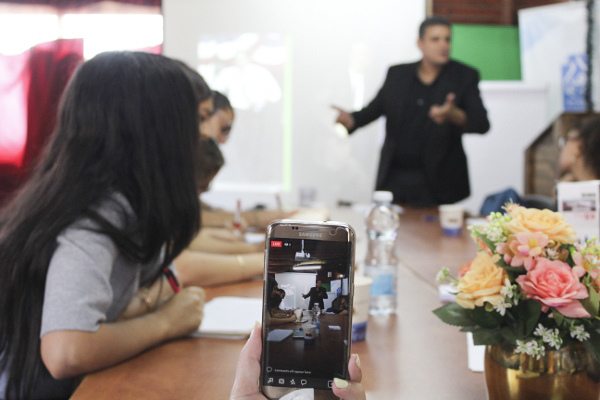 It fosters and collective thinking, social responsibility and the development of messages and ideas that promote social progress. 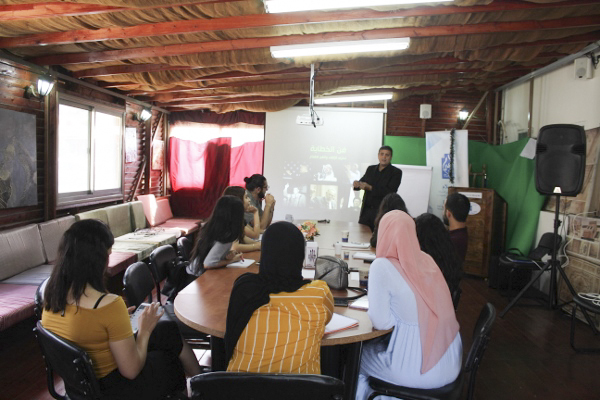 During the course of the project, the Young Leadership Program participants will receive further training in leadership and rhetoric, and will later compete among themselves so as to put into practice the acquired knowledge. 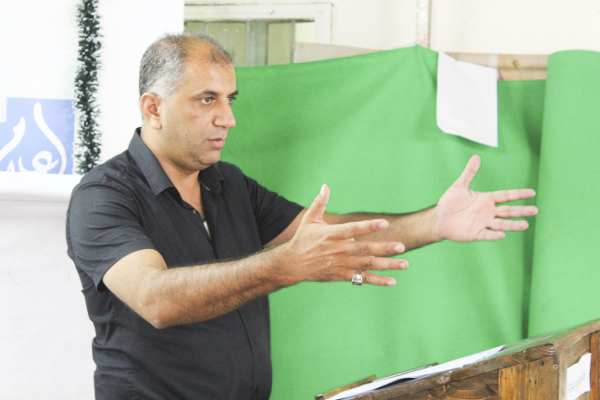 The competition among participants will conclude with a prize-giving to the three best competitors.